The Pound’s been on the back foot against the Euro (GBP/EUR) and US Dollar (GBP/USD) today after disappointing UK economic data came to light. The UK’s economic growth came in at only 1.3% in the fourth quarter of 2018 on the year which pressured the Pound exchange rate lower. Forecasts had suggested a downturn from 1.6% to 1.4% could take place. The quarter itself only registered 0.2% growth, while the month of December alone contracted by -0.4% rather than flatlining at 0.0% as economists had expected. Brexit uncertainity, geopolitical tensions and trade wars, and a general slowing in the Eurozone have all been to blame for the slowdown and played into Sterling exchange rate weakness. To make matters worse for the Pound, the UK manufacturing sector officially entered recession. However, while Brexit is likely to be causing problems for the UK economy, it’s worth noting that the Eurozone is also entering a slowdown which hasn’t offered the Euro exchange rate any support. Germany, Italy, and France, the largest Eurozone economies have all been posting weaker figures, causing concerns that the European Central Bank (ECB) won’t be able to hike interest rates this year–something which could be bad for EUR exchange rate strength long-term. Meanwhile, in the US, a fresh government shutdown could be on its way as talks reach a deadlock. A new shutdown is only a week away, so many Americans will be hoping congressional negotiators can solve the impasse. There’s a lot that lies ahead in the next few days, and investors will be watching for political developments in the UK and US to determine GBP/EUR and GBP/USD exchange rate movement. Tuesday will see Bank of England (BoE) Governor Mark Carney speak in London, which could be influential for the Pound exchange rate. Carney has created dramatic market movements before, and so investors will be on high alert. Wednesday will see the release of the UK inflation figure which is expected to decline from 2.1% to 2.0% on the year in January. Eurozone Industrial Production and US inflation readings will also be out. The January US Consumer Price Index (CPI) is expected to slip from 1.9% to 1.5% on the year. Thursday will be an interesting day for the Eurozone with the fourth quarter German and Eurozone Gross Domestic Product (GDP) stats revealed. 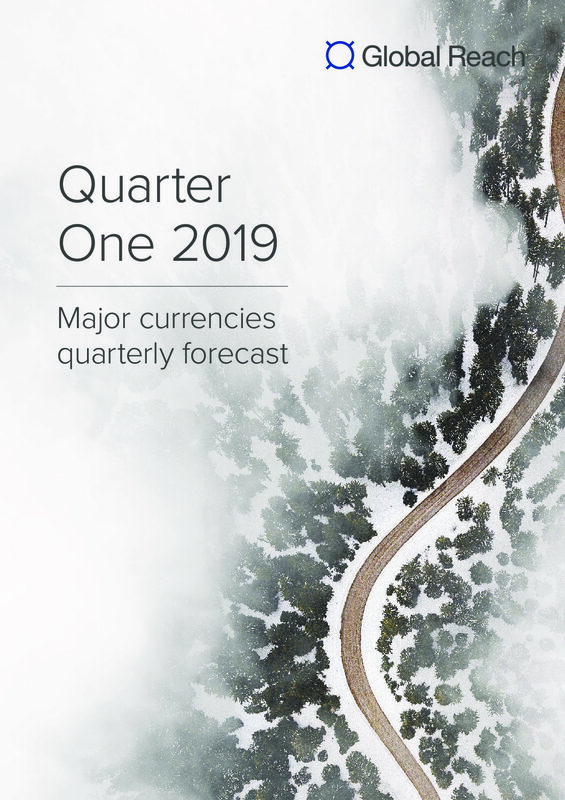 While German data is expected to show a slowdown, the currency bloc’s overall number is expected to maintain the 1.2% growth rate in Q4. US Advance Retail Sales will be out on Thursday, followed by the University of Michigan Consumer Confidence stat on Friday. On Monday, the Pound to Euro (GBP/EUR) exchange rate has been trending in the region of 1.1397. The Pound to US Dollar (GBP/USD) exchange rate is trading at 1.2874.